Recently I was contacted by Alvin Fong, driver for the Black Box Rally Team based out of Danbury, Connecticut. 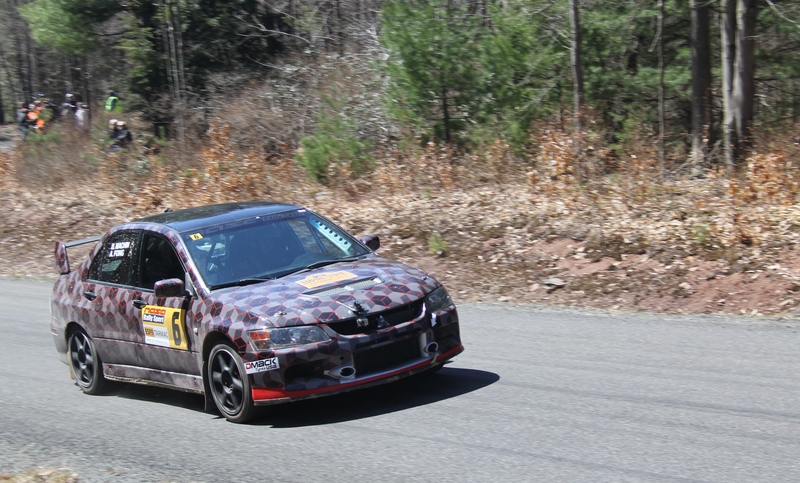 Black Box is a privateer team that competes in the Super Production class of the NASA Atlantic Rally Cup and Rally America’s Eastern Regional Championship. I’m going to get Alvin on one of our Inside The Helmet interviews soon to discuss east coast rallying, but until then he offered to give us a special preview of one of the most unique rallies in America, the Empire State Performance Rally. 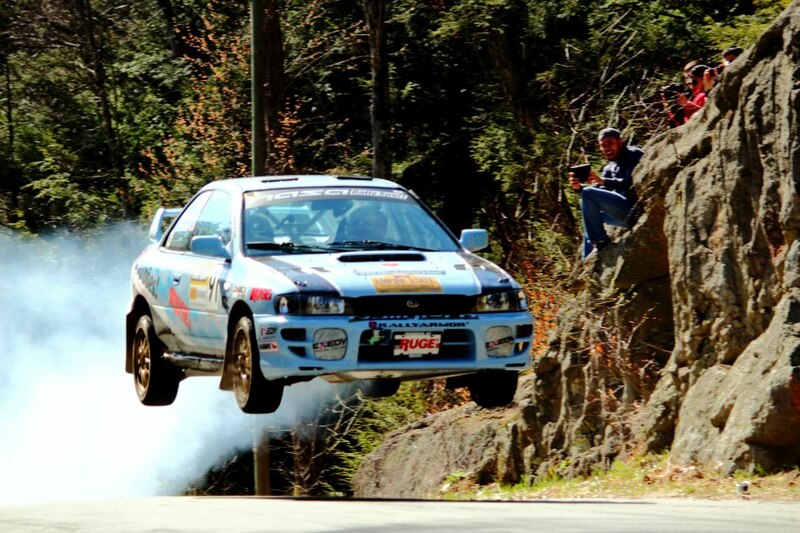 ESPR is a NASA Rally Sport event which runs on the back country roads through the Catskill Mountains of New York. 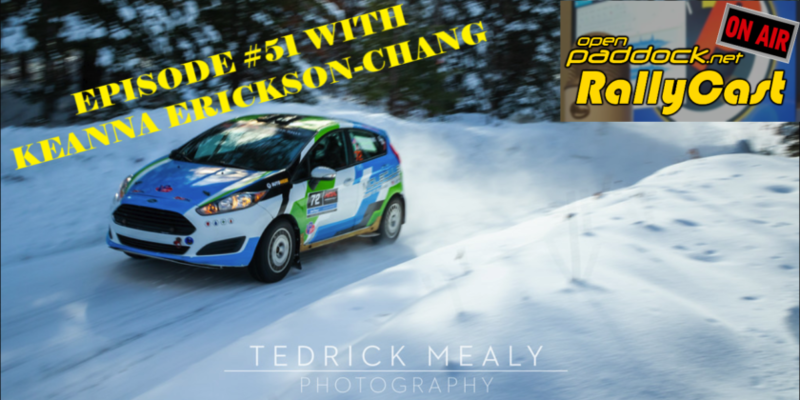 Here’s Alvin’s preview of the only full tarmac rally in the USA. I’ll be sure to post up how he did over the weekend as well. 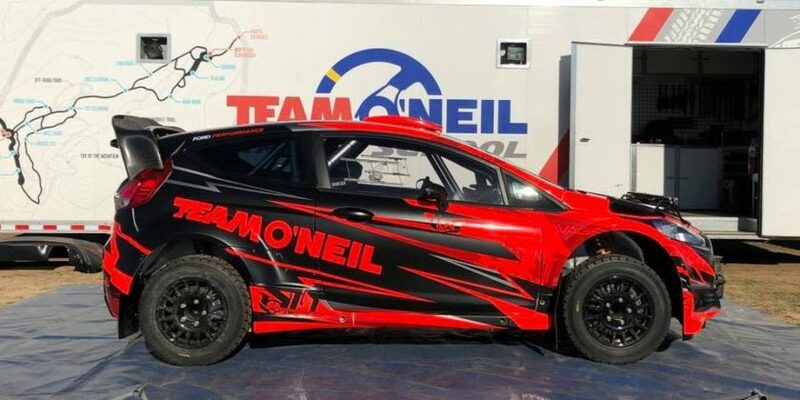 The second round of the Atlantic Rally Championship will kick off this weekend at NASA RallySport’s Empire State Performance Rally. As the US of A’s only tarmac rally, the street roads of Rock Hill and Monticello New York will set the stage for every rally driver’s worst nightmare – tarmac stages. (Full disclosure – I am the driver for Black Box rally team, so I have a slight bias). Why every rally driver’s worst nightmare you ask? Unlike Europe, tarmac rallies are a bit of a rare gem here in the U.S. Every driver will have lots of experience on gravel and loose surfaces, and those talents tend to translate from one gravel event to the next. 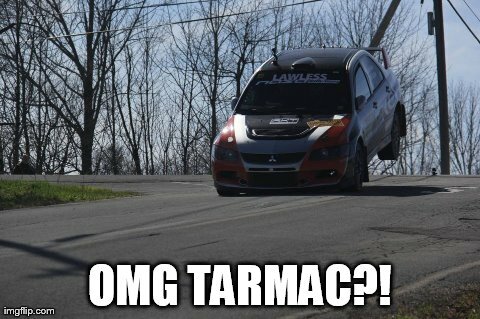 Tarmac experience leading up to the rally? Other than my 100 mile commute to work on the highway, the only real “training” I’ve had would be hotlaps in Forza or Gran Turismo. Hill climbers like Jude DeMeis/Pascal Belperron probably have a bit of an advantage here against traditional stage rally guys. With average speeds over 80mph, this has been the fastest rally in America. It will be the norm this weekend for these rally cars to see triple digit speeds, and only the constant threat of rain promises to throw a kink in things (as it has for every year since 2012). With such fast speeds, the slightest off will mean Game Over. Last year, over 1/3 of the entries Did Not Finish. On paper, Cyril Kearney, this year with co-pilot Nathalie Richard (9x North American Rally Champion), should take the overall podium assuming Cyril can keep it on the road (Cyril has gone off quite catastrophically the past 2 years). As far as consistency goes, Mike Reilly and Josh Benthien outright dominated the rally last year in their Open 2WD Ford Focus until the last 2 stages, where a mechanical issue allowed Greg Roumianstev to pass them on the second to last stage. If they can fix whatever robbed them of their victory last year, I really like them for the overall win. Next up, the team of Colin Bombara and Larry Pantzer finished 3rd last year in their Subaru Impreza RSTI. Colin’s aggressive driving style should easily make him a fan favorite and put them in striking distance of the overall podium. Also threatening the 2WD podium is Erika Detota/Mary Warren. With reportedly 60 more hp in their new engine, the only question I have for Erika is, “Will the transmission hold up”? New to watch for this year, the teams of Gary Donoghue/Kieran Mc Elhinney and Donal Crooke/Noel Joyce have made the move from 2WD to AWD in their new Mitsubishi Evo 8 and Subaru rSTI, respectively. Those two battled intensely at last year’s ESPR, at one point, only separated by seconds – I’m sure they’ll take the same battle to AWD this year. 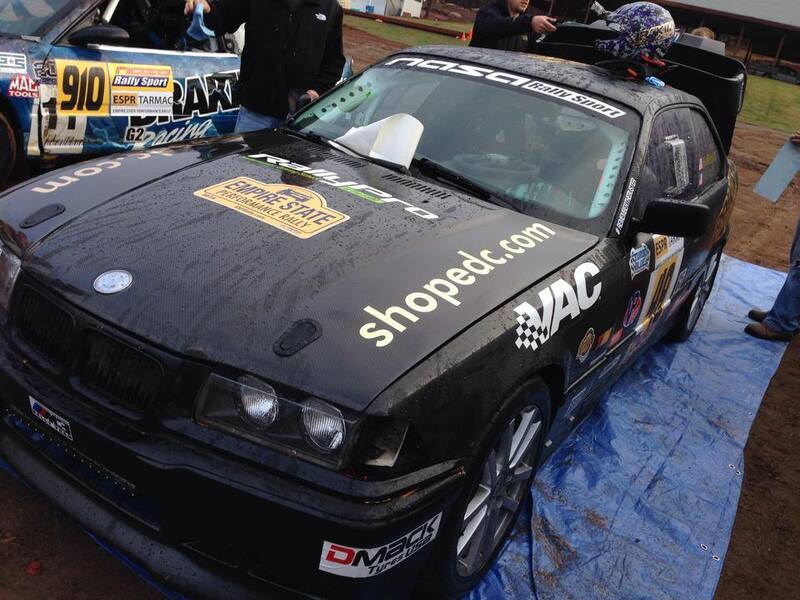 Finally the BRAKIM racing team Matt Brandenburg will be joining us in their totally built-up 280whp S52 BMW M3. Aside from some exploding clutch bits from a pre shake-down run leading up to the rally, they should be giving the 2WD class some serious contention. As far as the classes are concerned, Tarmac is a great equalizer between AWD and 2WD classes. The 2WD cars will have the weight advantage, while AWD will only be advantageous in the wet. On tarmac, the power advantage of high hp cars will be hard to level compared to gravel rallies where the amount of grip is the main factor. Speaking of big engines and high power, keep an eye out for the flying truck piloted by Gary DeMasi and Stephen Kurey. Few things make me more afraid than a 3 ton truck catching big air over jumps. If you’re able to make the event, check out the schedule at http://esprally.com/rally-schedule/ for the Rally’s comings and goings. Oh and as for Alvin Fong and Billy Machin, though we did place 6th overall last year in our stock-class car, this year’s entry list is larger than ever (41 entrants from 33), so our fully-overhauled now-Super-Production-class car will still have quite the challenge in finishing within our goal of the top 25%. Look for the Black Box Rally Evo at the event or follow us at facepage, blackboxrally.com or eventual-gram. And don’t be afraid to stop by and say hi at the Rock Hill Fire Department service park!